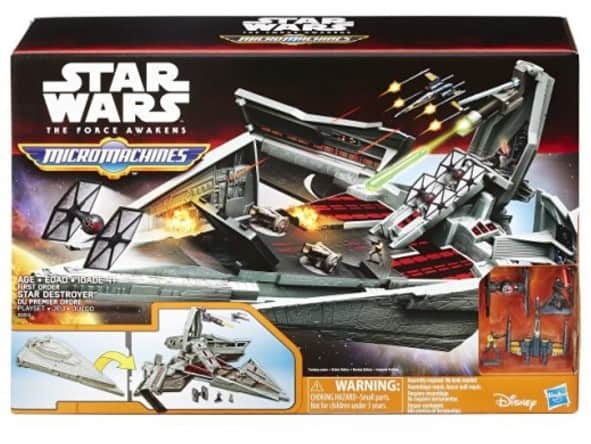 The Star Wars The Force Awakens Micro Machines First Order Star Destroyer Playset is on sale for $6.14 at Amazon right now. That's 85% off the list price of $39.99! This is an Amazon Add-On item and requires a $25+ order to ship at this low price!